Whether you're speccing out a small apartment or putting a home theater into a bedroom, it's not always easy to fit big sound into a small space. The temptation to go for a full 5.1 system can be tempting for home theater geeks – there's no experience quite like it. Building out a full system though, usually goes one of two ways. You under-spend and end up with a disappointing set of satellites that offer milquetoast sound or you have to spend a bunch of money and you still have a bunch of jet-black speakers in your bedroom connected by wires running under the carpets, along the walls, and behind the furniture. Sound bars have been a welcome respite from that, but they don't always offer the flexibility or fullness you'd hope for from a proper theater nor do those long bars always fit into the small spaces they're designed for. 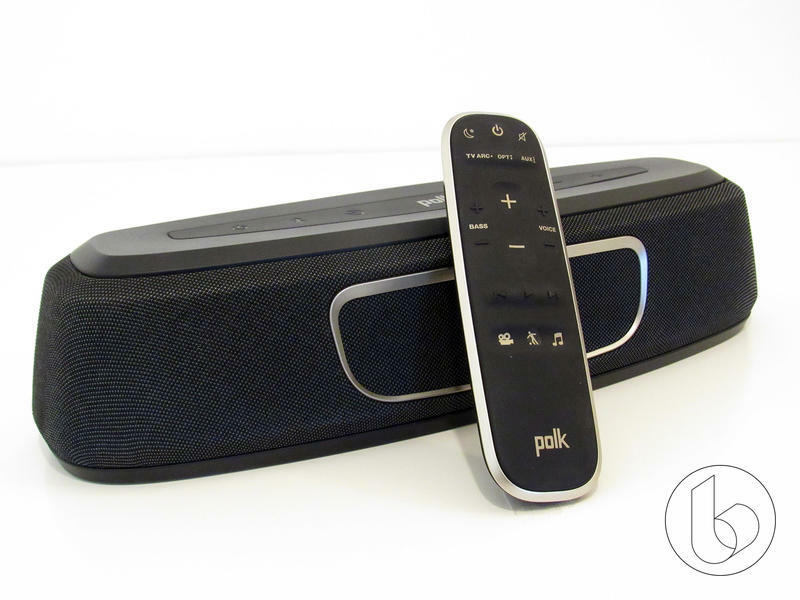 Enter the Polk Magnifi Mini. 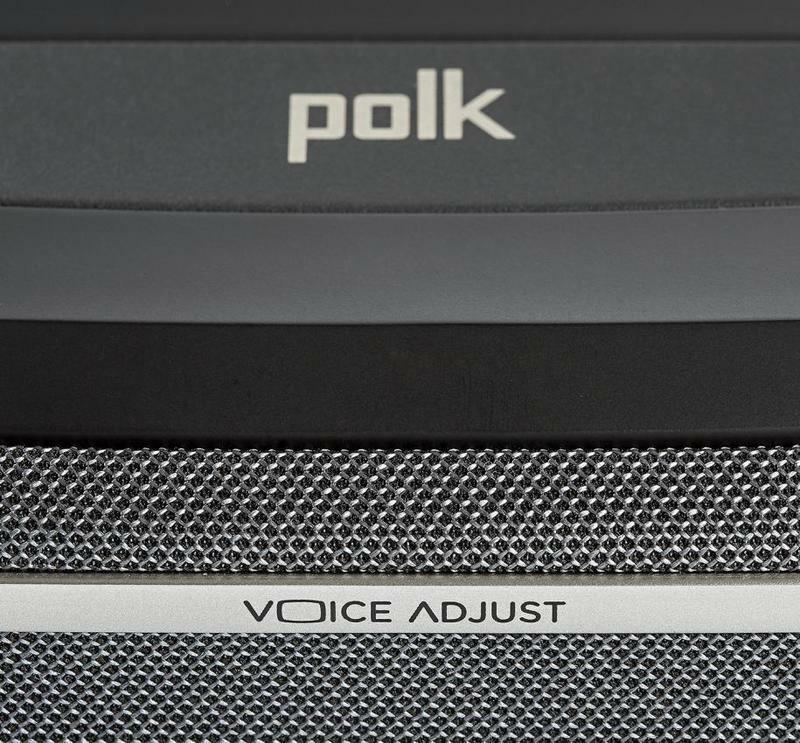 This little soundbar from Polk wants to do all of that – to fit where other gear can't, without forcing you to compromise on having a great viewing and listening experience. Can Polk's offering fit the bill? Is there a spot in your theater for this mini-monster? Let's dive in. 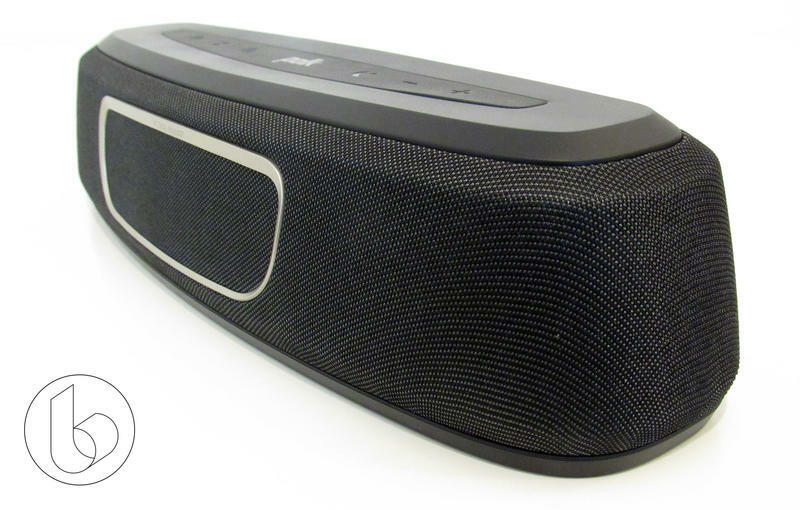 With the Magnifi Mini, the promise is those good things come in small packages. 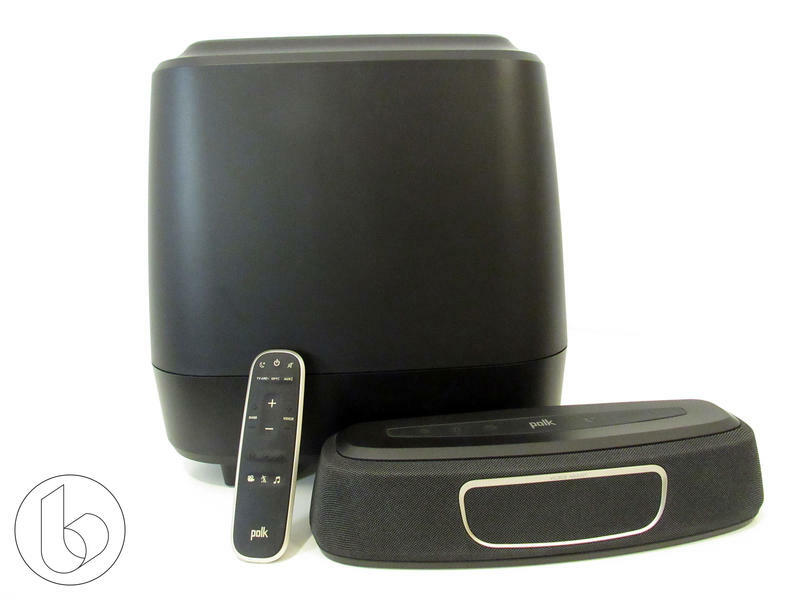 Indeed, this thing is tiny – even taking into account the subwoofer. 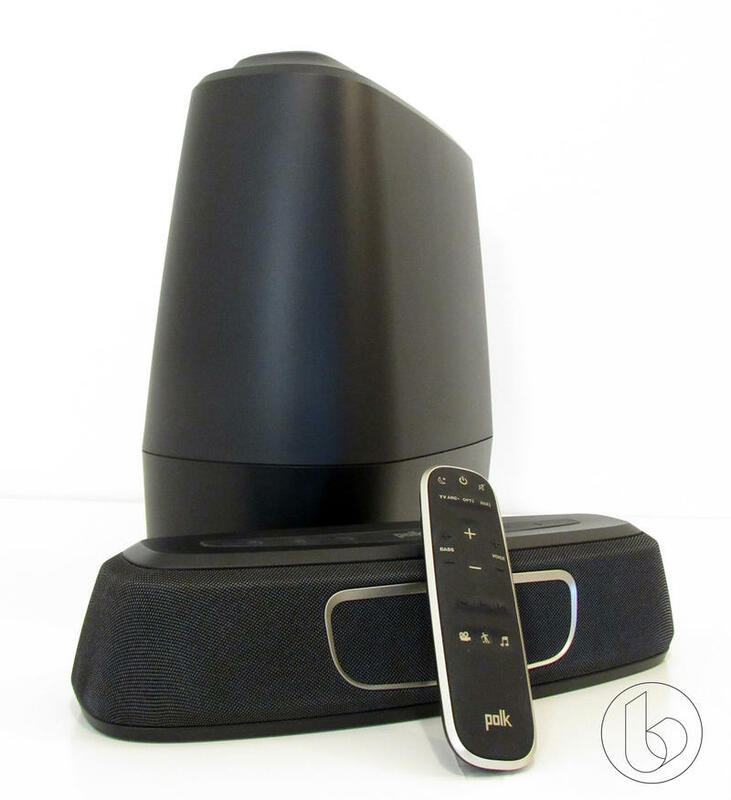 Further, that subwoofer connects to the base wirelessly, so finding a spot for it doesn't mean finding a compromise forced by a combination of power cables and too-short audio cables. There's a limited range to this, which can be further cut down by materials you might put in between, but the freedom means the possibility of putting the sub behind some furniture and out of sight. 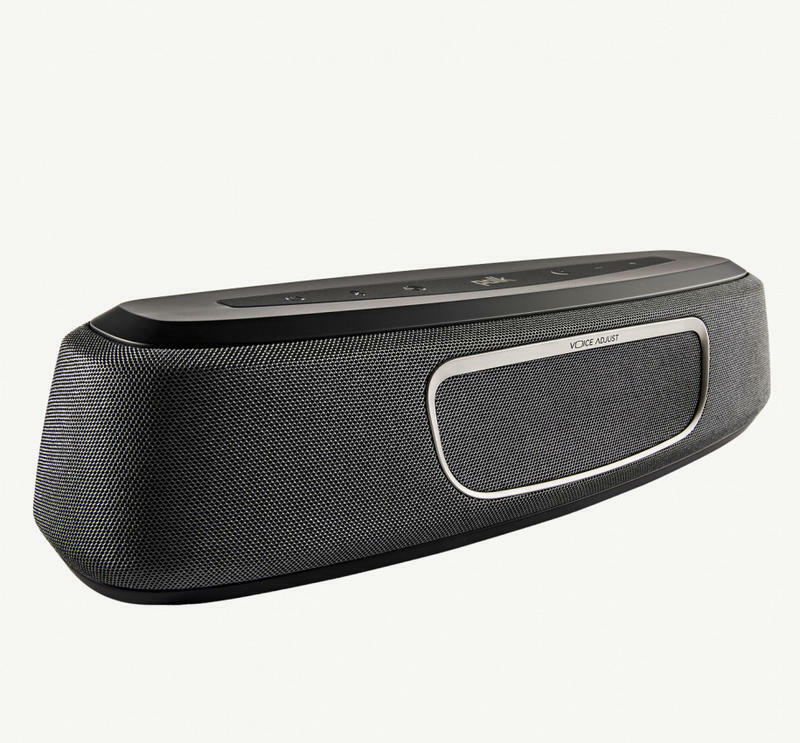 In terms of hard specs, the soundbar looks more like one of JBL's heavy-duty speakers. It's just 13.4-inches long, 3.11-inches tall, and 4.25-inches deep. The subwoofer, meanwhile, is 14.5 inches tall and deep, and 7.4 inches wide. If your setup is big enough for a television, chances are the Magnifi Mini will fit, too, and that alone gives it an edge over much of the competition. Getting the Magnifi Mini, too, is relatively painless if you don't forget to plug in the HDMI cable like I did for like, half an hour. Oops. In this way, it's not that unlike other soundbars, and how easy setup is will be somewhat dependent on your setup. You can connect the Magnifi Mini to your television through HDMI ARC (Audio Return Channel), Optical (S/PDIF), or an auxiliary connection. How it works will also be somewhat dependent on this decision. If you connect over HDMI ARC, you'll be able to control the basic volume of your setup with your regular TV remote, while those with more flexible universal remotes, like Logitech's renowned Harmony line, will find the other options equally painless. All in all, though, you're looking at three cables in all, two of which are power cables. 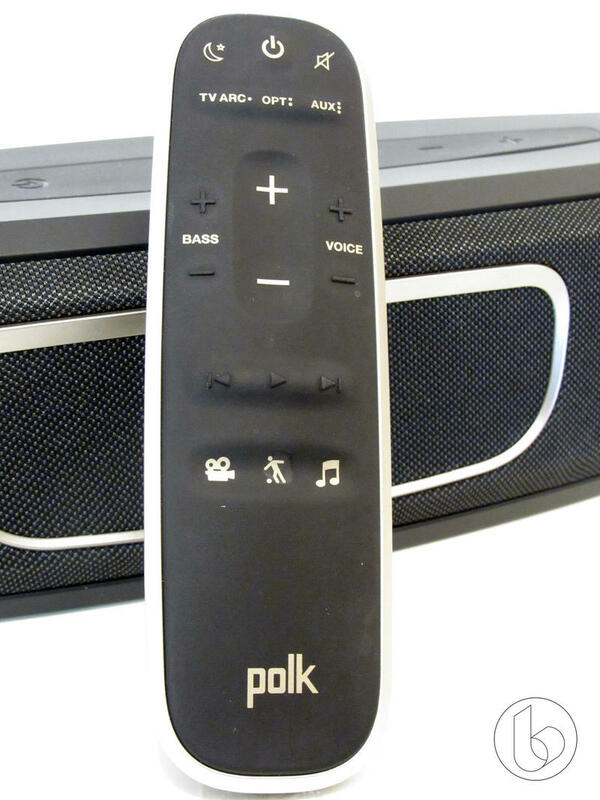 Polk managed to pack a bunch of functionality into the tiny box set it wants to sit under your television. Some of it works like a charm, and other aspects could use a little work. My favorite aspect might be the VoiceAdjust control offered by the system. If you're attached to your 5.1 setup, you might call this "turning up the center channel," but that's technical enough to put off grandma, dad, or a friend who is hard of hearing. That latter person is someone in my life. One of my friends loves movies, but has a hard time picking out dialogue from the other audio in movies. She loves disaster movies, so the problem is doubled up. Normally, we watch movies with subtitles. I invited her over to watch one of my favorites, Pacific Rim, in glorious 4K. While her infant giggled and squealed every time a giant kaiju was tearing up the city (what the heck, kid? ), she was able to watch the movie without subtitles at the bottom of the screen, and all it took was pressing "up" on the voice-adjust control. That in itself, in her eyes, makes the Magnifi Mini worthy of strong consideration. 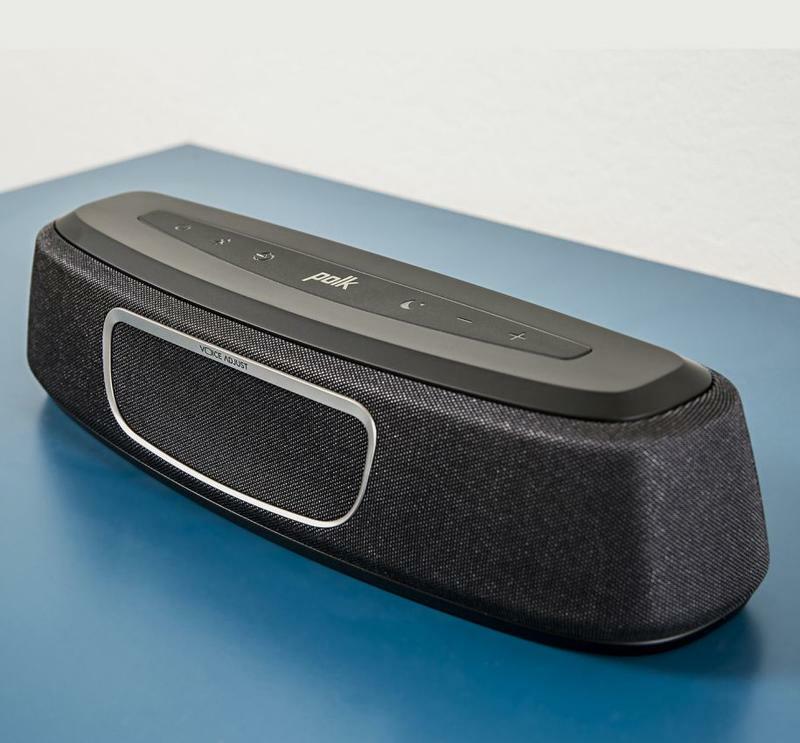 On top of that, the bar offers Bluetooth and Google Home connectivity for wireless music streaming, bringing the total possible ways to connect to this tiny thing up to five. That Google Home connectivity also plugs the system into your home network and allows it to get updates over the air. 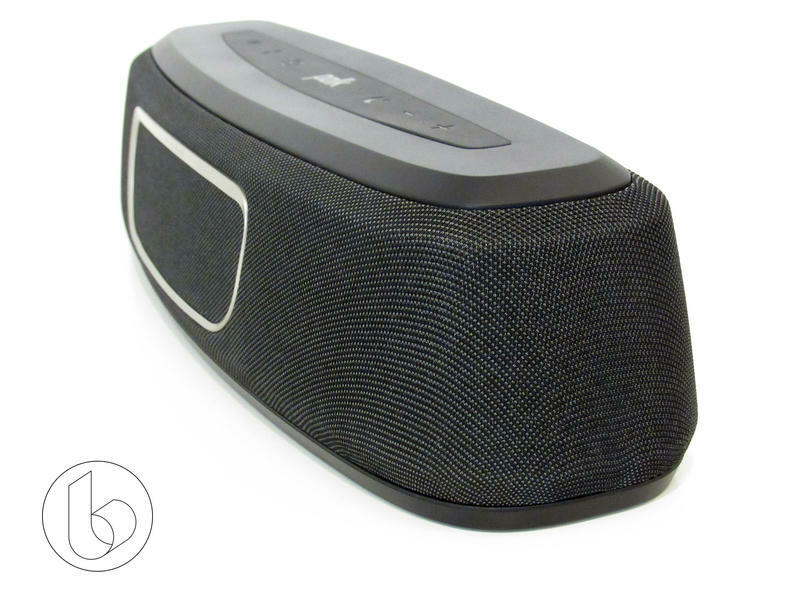 Early iterations of the Magnifi Mini reportedly got warm during use, but a later update allowed the system to put the unused hardware to sleep, bringing the temperature and power consumption down, so it seems like Polk is making use of that connectivity to make meaningful improvements to the product. There are a few oddities worth mentioning, though. HDMI ARC, which turns one of your HDMI ports into an audio and data channel, is intended to make using the soundbar simple by letting your TV tell it to turn on and off and to pass the volume adjustments over the HDMI cable to that device, leaving you with one remote for your whole setup. When it works, it's awesome. Smart TVs have attractive interfaces, and seeing the volume indicator pop up on my screen after years of using a dedicated device was fun. Everything just works, right? I'd say that about one out of five times, the Magnifi Mini just wouldn't turn on, and the TV, now set to auto-detect its audio outlet, would just use the TV's onboard speakers. Ew. I had to grab The Magnifi's dedicated remote and hit the on switch to force them to start communicating again. If you're using a universal remote, you may be able to dedicate a button to toggle the device's power, or set a step in the power-on process to make sure the thing turns on, but it's frustrating to have this happen so frequently. Further, if you're a gamer and plug in a headset frequently, you may find the speaker turning off due to inactivity and then not resuming automatically when you unplug your headset to go back to regular use. If you really dig the VoiceAdjust feature, using your TV's remote may be unappealing as well, and it may become difficult to disconnect from that included remote, nullifying the benefit of HDMI ARC in the process. Speaking of the remote, it has all the functions you'd want in a remote like this, but the layout isn't great. Instead of discrete buttons, everything is buried under a membrane of soft-touch rubber. If the lights are on, it's pretty easy to switch between inputs and audio profiles, but in the dark they're bumps. Worse is that the volume is the central vertical column on the remote, set in as a concave area meant to make it easy to find. Instead, though, I found myself more likely to hit the raised VoiceAdjust and Bass controls on either side. The audio control buttons are raised, as well, and right below these. While they're unique shapes, though, it's hard to differentiate them in the dark and I found myself occasionally mistaking "Play" for "Volume Down." The remote also requires a painfully direct line of sight to manipulate the bar's settings. So how does it sound? Let's address the simulated 5.1 audio, first. 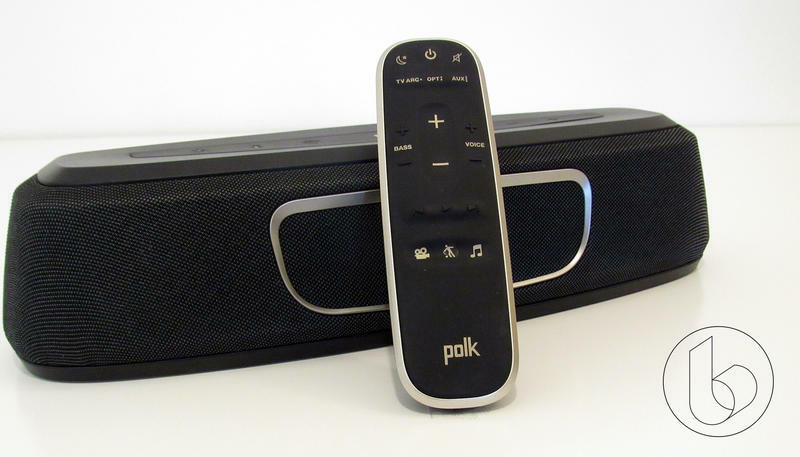 While Polk is careful to never say that the Magnifi Mini offers 5.1 audio – just 5.1 decoding – that number is all over the place in the documentation, on the box, on the Amazon product page – everywhere you look. 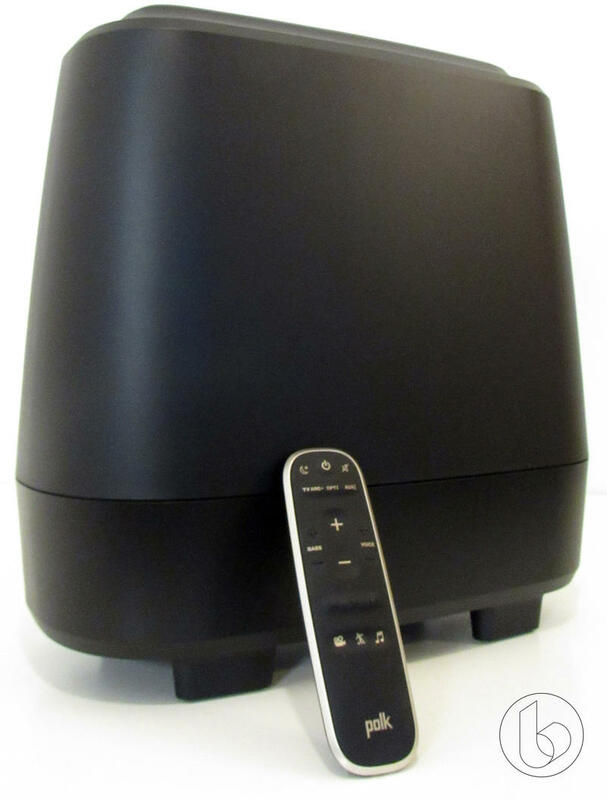 Despite that, the Magnifi Mini won't quite fill your house with sound. Rather than a 5.1 system, it sounds more like a 3.1. 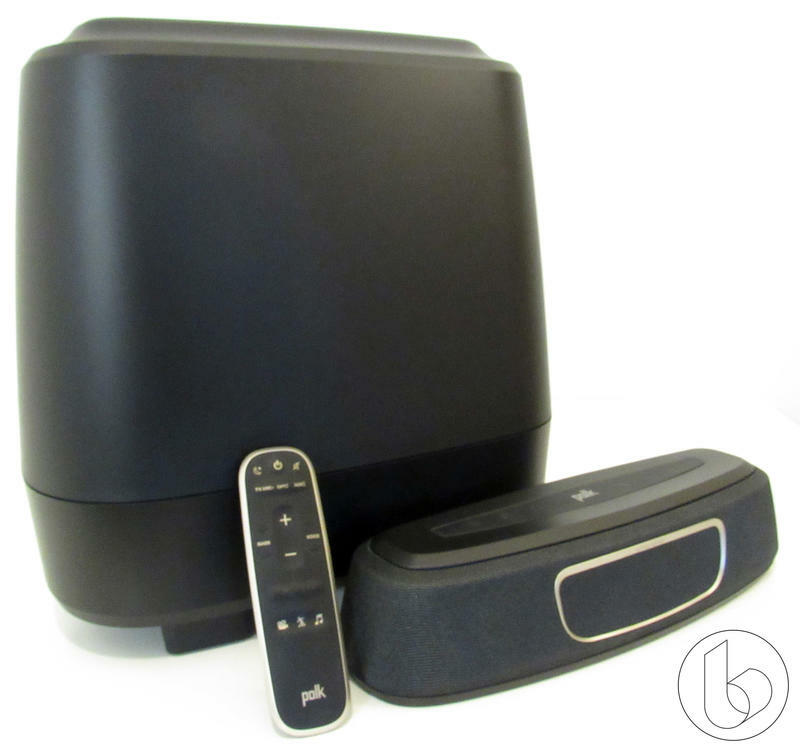 If your goal here is to hear a helicopter or Transformer or something run across your room with immersive surround sound, the Magnifi Mini may not be for you. If your goal is to get clean, clear, and loud audio in a small package, read on. With that caveat, this thing sounds real danged good. 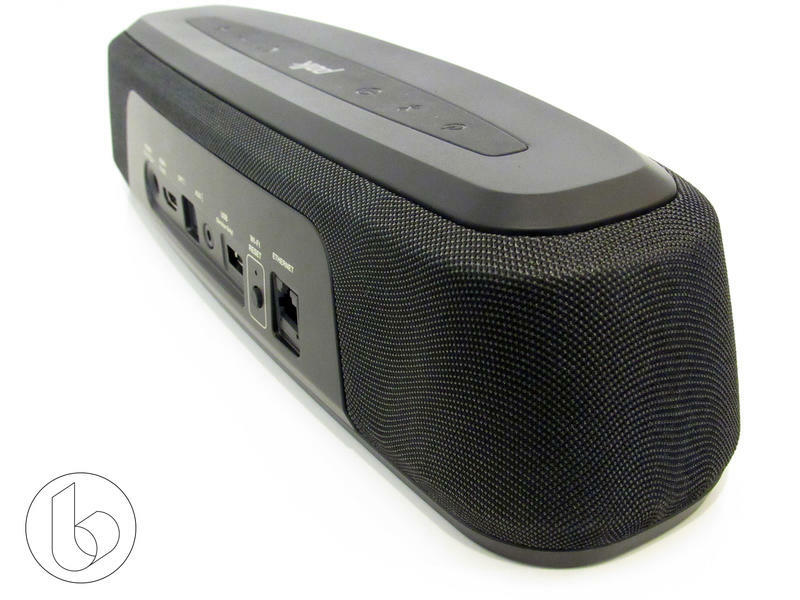 For such a small piece of hardware, the Magnifi Mini puts out a lot of noise. There are six drivers inside the bar: two 2.5-inch drivers at the front, and a pair of 2-inch drivers on each side. On the sub is a single, downward-facing 6.5-inch driver. Listened to a variety of music via Spotify on Bluetooth, Googlecast, and via my Samsung KS8000's app. 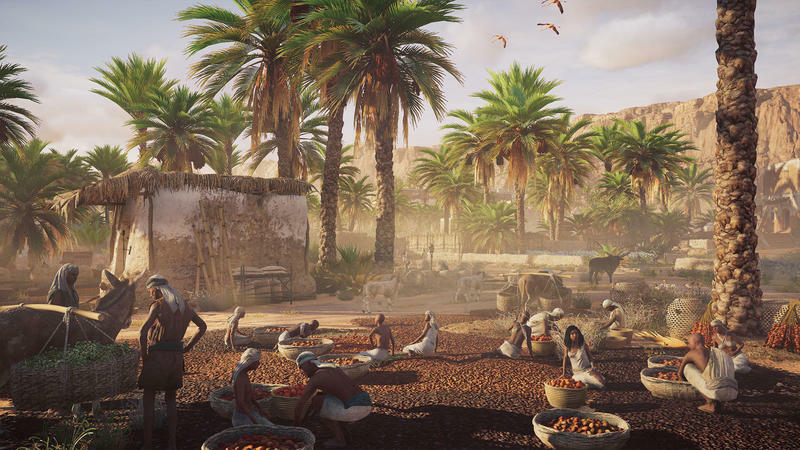 In a game like Assassin's Creed: Origins, sound is clean and clear. If you're used to that surround sound, though, you'll notice the location isn't nearly as well defined as with a proper 5.1 setup. Facing an audio source and moving from side to side, the left, right, and center channels feel good, but if you're facing away, you don't get anything extra. Watching movies, though, really exposed how big the soundstage of this little package feels. In the opening moments of Blade Runner, just before Leon Kowalski puts Holden in the hospital, he knocks on the door. The same way my pets react when someone knocks on my physical, wooden door, I sat up and listened, then rewound and played it again. The knock legitimately sounded as if it was coming from elsewhere in the room, and that's impressive for how small this system is. And again, Pacific Rim did an especially good job of showing off how well VoiceAdjust works. By cranking the center channel and putting the other effects into the background, dialogue that can be otherwise tough to discern becomes clear and easy to hear. Onto the music. Using the music setting on the soundbar's remote, I listened to a variety of tracks that I tend to go through when breaking in a new set of headphones. 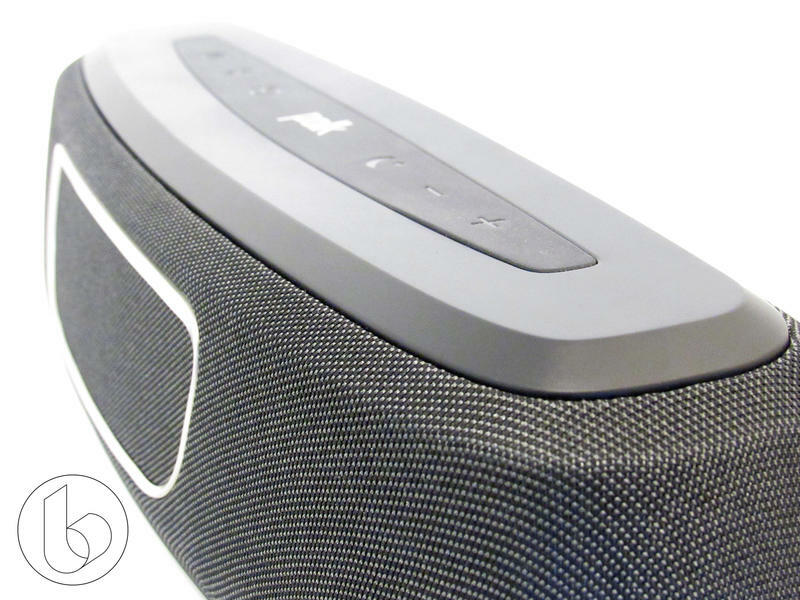 The session provided a good insight into the soundbar's capabilities as a music player, and I came away pretty pleased. Listening to a song that depends more on bass and midrange sounds, though, like Kyuss' "Space Cadet" show how strong the system's midrange is. The warm acoustics and twang of this track are fully intact, and it feels as full and smooth as I would hope for. Bass-heavy rap tracks like Erik B. & Rakim's "Let the Rhythm Hit'Em or Atmosphere's "Bitter" continue to show the impressive bass response for such a small package without any noticeable loss of detail. At a suggested retail price of $300 – but lower in many locations – the Magnifi Mini is a solid value. If you have more room or don't mind the size, a bigger soundbar may have the hardware to better handle full surround, but then you're likely looking at additional satellite speakers, additional cables and more. 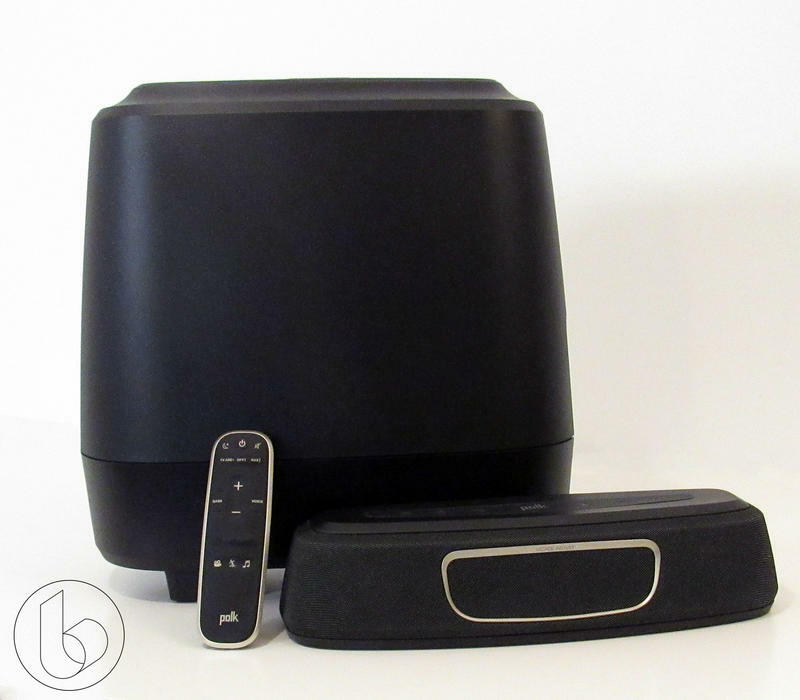 The Magnifi Mini presents an impressive soundstage for its size. 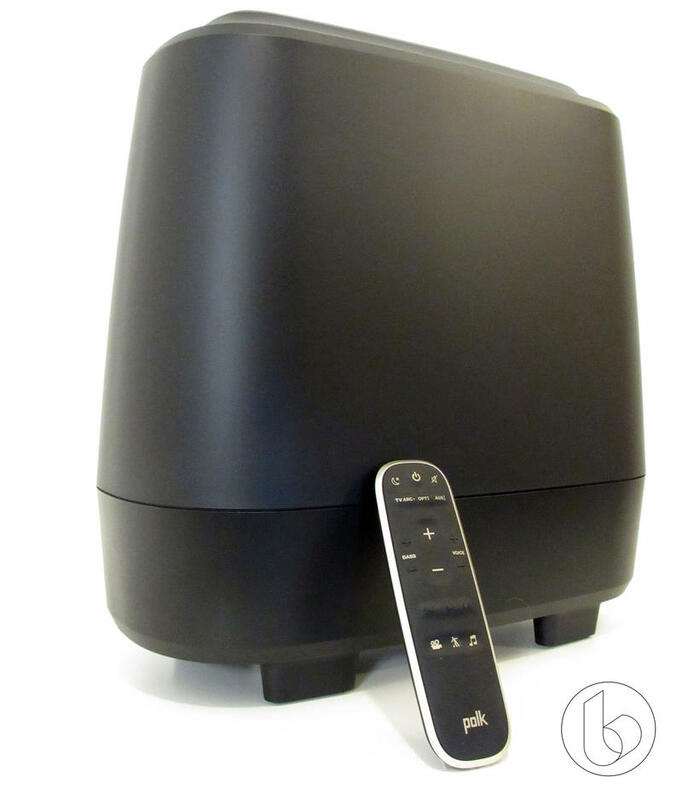 If you live in an apartment or you're adding audio to a secondary television, the Magnifi Mini does an admirable job of filling the aural space without actually filling up the physical space – you'll have a hard time finding something that addresses this need, as well as the Magnifi Mini, does without some serious compromises. Disclaimer: We received a review unit from the manufacturer for review purposes.